Our Process starts with the finest ingredients from our long standing trusted and approved suppliers. In the food industry, trust is earned by knowing your suppliers well, having specific knowledge about their operations, and having open communication with them. After 30 years of making dough, we believe our carefully chosen ingredients create the best tasting dough around. 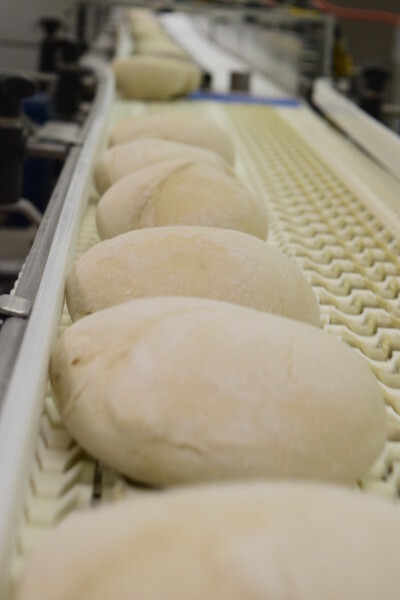 By combining these carefully chosen ingredients and our innovative, unique manufacturing process, we have crafted a variety of truly unique doughs. Blending the old world mixing techniques with new technology, we are able to enhance the classic dough flavors that have been "old world" crafted for years. We then use a secret combination of time and temperature in order to create that perfect frozen dough ball. Combining these techniques with innovative packaging yields a unique packaged dough ball, which is convenient and excellent tasting, perfect for any bread, pizza, calzone, and more.